Jenny Rose, Mandy Leon & Sumie Sakai defeated Kyoko Kimura, Taeler Hendrix & Veda Scott: Sakai pinned Hendrix with a roll up. Dalton Castle kicked off the show and explained Kenny Omega ducked him. Dalton explains this is the first run of an animal show. All Night Express interrupts. All Night Express trash talks the crowd as well as Dalton. A match is made from this segment. All Night Express (Rhett Titus & Kenny King) defeated Dalton Castle & The Boys: All Night Express hit a Argentine backbreaker driver and a DDT to the Boys for the pin and win. Adam Page & Jonathan Gresham defeated Cedric Alexander & BJ Whitmer (w/Veda Scott): Page hit the Right of Passage on Cedrick for the pin and win. Moose & War Machine defeated Cheeseburger & The Briscoes: Moose Speared Cheeseburger for the win. (IWGP Junior Heavyweight Championship) KUSHIDA (c) defeated ACH: Kushida locks in the Hoverboard lock for the submission win over ACH. Will Ferrara defeated Joey Daddiego (w/Taeler Hendrix) by DQ: Daddiego got so pissed he couldn’t beat Ferrara, that he smashed Ferrara over the head with a chair. . Donovan Dijak with Prince Nana come out and attacked Daddiego. 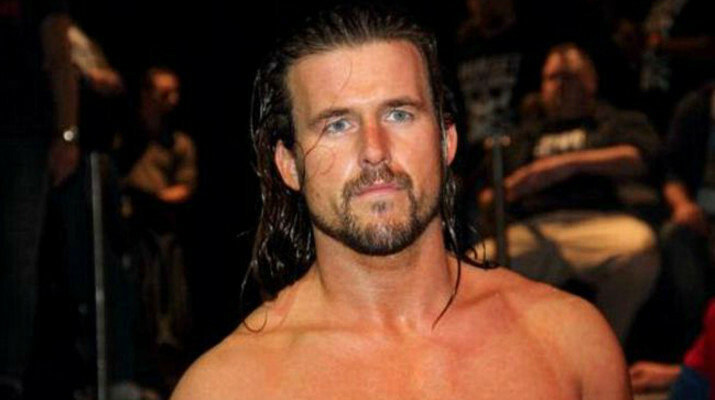 Adam Cole & Roderick Strong defeated reDRagon: Roderick kneed O’Reilly who had Cole in the sleeper to pick up the win. The Addiction defeated The Young Bucks and Motor City Machine Guns: Daniels and Kazarian hit the Meltzer Driver for the pin and win. 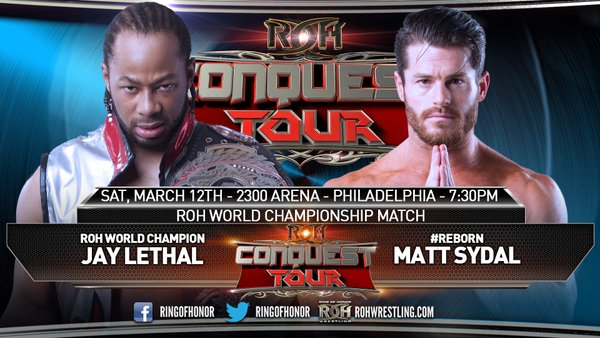 (ROH World Championship) Jay Lethal (c) (w/Taeler Hendrix) defeated Matt Sydal: Lethal hit the Lethal Injection for the pin and win.